Tattoo removal has become one of today’s most popular aesthetic treatments. According to a 2016 Harris Poll, 1 in 4 adults has at least one tattoo. In a separate study commissioned by Cutera, 1 in 4 respondents with tattoos experienced tattoo regret. New, advanced laser tattoo removal technology has made it possible for providers to remove unwanted tattoos more efficiently and effectively than traditional tattoo removal methods. However, challenges such as ink particle size, tattoo color, depth of ink particles, tattoo age and location all play a role in the speed of clearance and the number of treatments required to achieve optimal results. 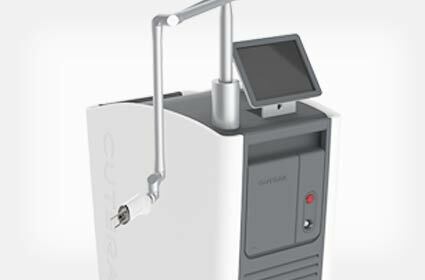 enlighten® has emerged as the premier solution for laser tattoo removal. Featuring dual pulse durations (2 ns + 750/660 ps) and three unique laser wavelengths (532, 1064, 670 nm), enlighten has the power to clear all ink colors, variable ink particle sizes and densities in fewer treatments. In addition to laser tattoo removal, enlighten’s versatile technology and broad range of specifications enable providers to remove unwanted pigmented lesions and address skin revitalization concerns – making this an essential multi-application platform suited for any practice.